Radiology is engaged in treatment of various diseases by directed action of ionizing radiation for the affected areas. The radiologist has been providing care to patients with the help of modern high-tech radiological equipment permitted for use in medical institutions. Most often, these professionals are attracted to the complex examination of the patient, but in certain situations they may issue and self-imprisonment. Consultation radiologist is often necessary not only at the stage of examination of the patient and the correct diagnosis, they can also participate in the development of a treatment plan. 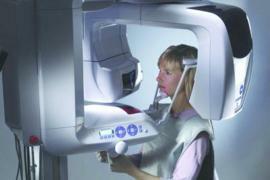 The radiologist treat using radiation therapy. This therapy is currently one of the most benign methods of treatment for various dangerous diseases. This doctor monitors carrying out all necessary diagnostics and therapeutic procedures, and controls the operation of all the sophisticated equipment. When the diagnosis of sciatica, arthritis, hidradenitis, spurs, tenosynovitis and bursitis. Need this specialist and at setting such diagnoses as lymphoma, Hodgkin's disease, cancer metastasis. 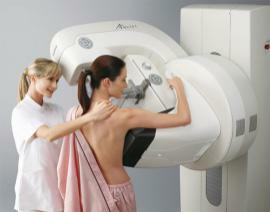 When Should You See A Doctor For Your First Mammogram?